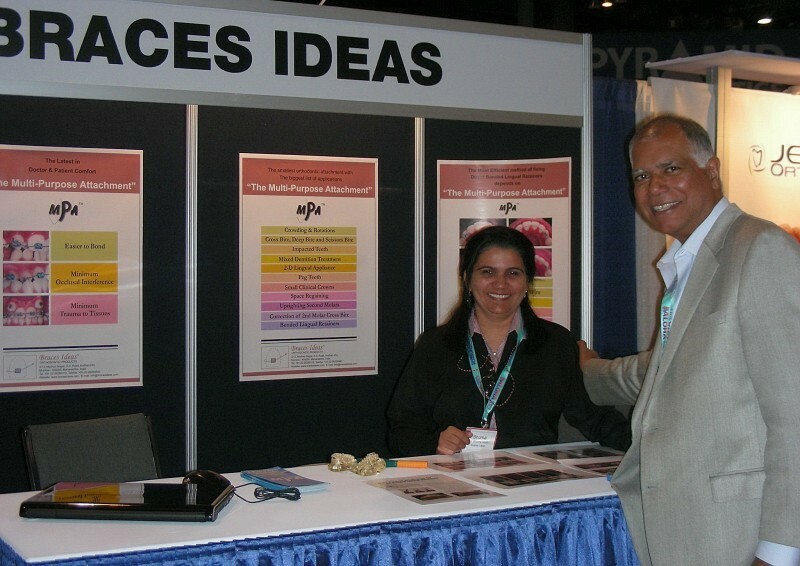 Dr. Nikhil vashi and Dr. Bhuma vashi from “Braces ideas" have been helping orthodontic profession as a teacher, as an inventor of many appliances, techniques etc for many many years now. 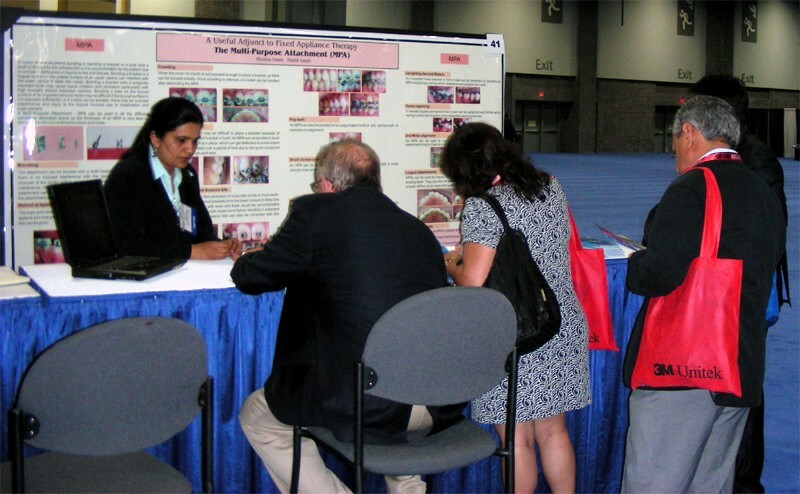 M.D.S., Cert.L.Ortho. 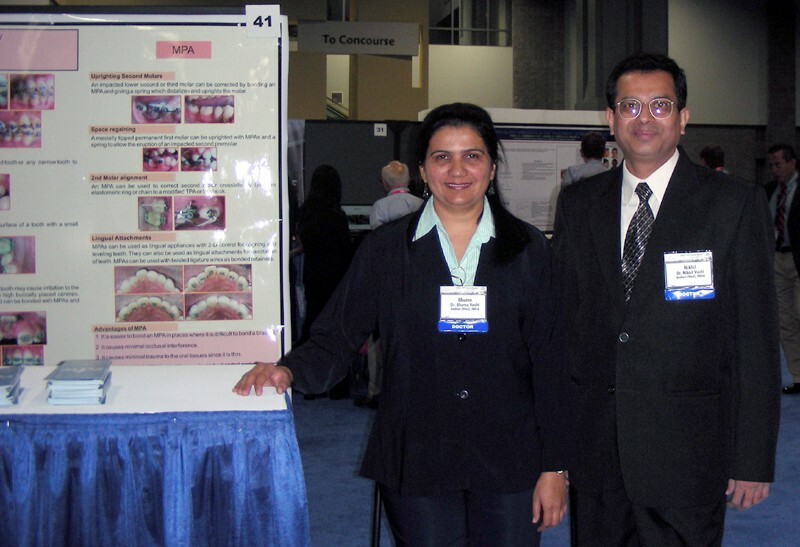 (USA) A - 9904, Braces Specialist (Gold Medalist). 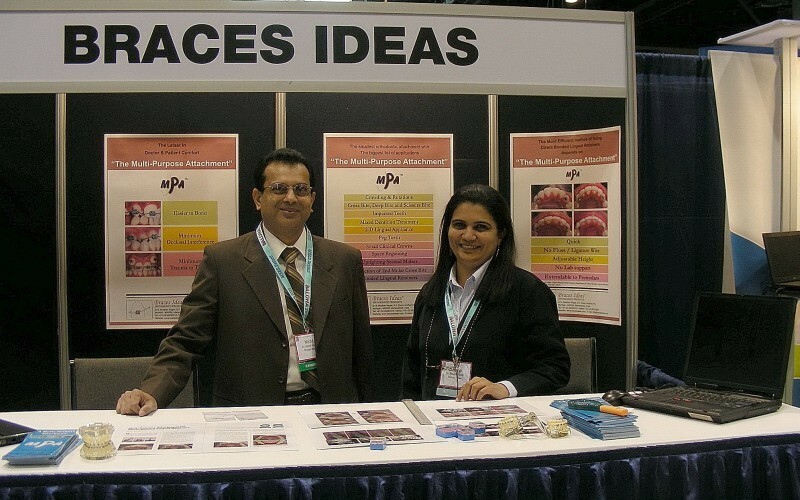 I've been a huge fan of MPA ever since Dr Nikhil introduced his innovation !! 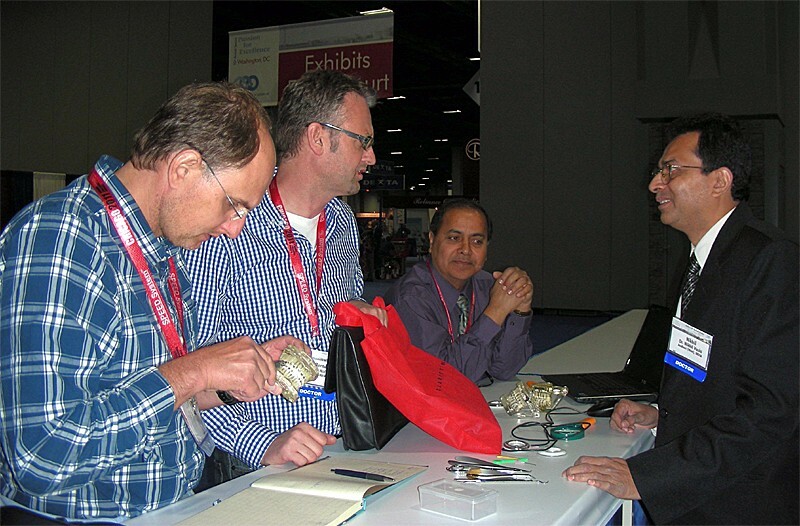 Using it in all possible situations like unerupted ( impacted), semi erupted teeth and the the teeth in crossbite or deep bite, where bonding of conventional brackets would be a challenge. 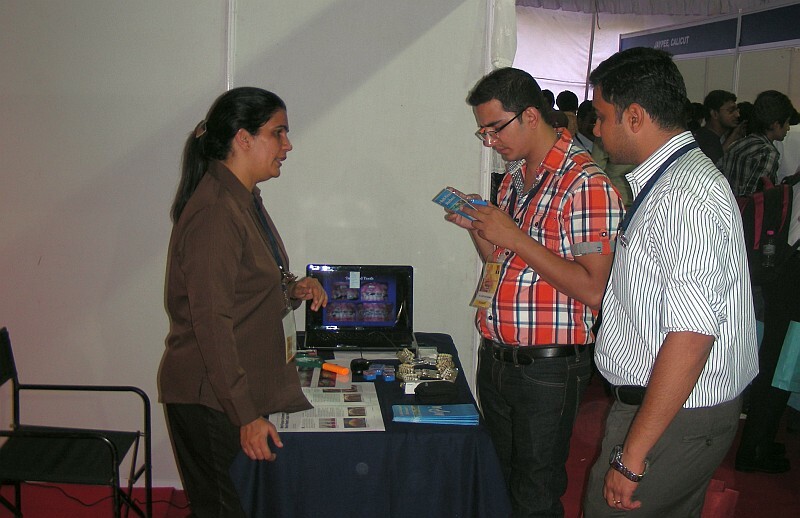 Prof and HOD, SGDher College, Gujarat. 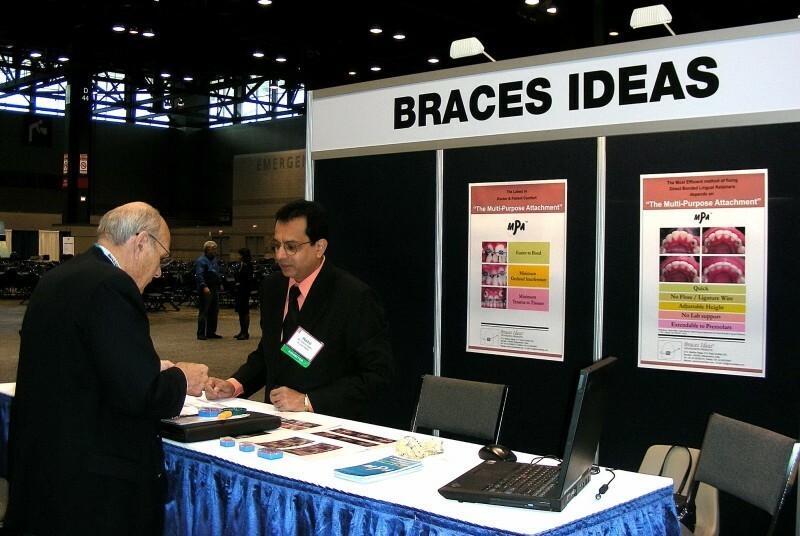 In many clinical situations bonding or banding a bracket onto a tooth is difficult for the orthodontist and/or uncomfortable for the patient due to occlusal interference or trauma to the oral tissues. 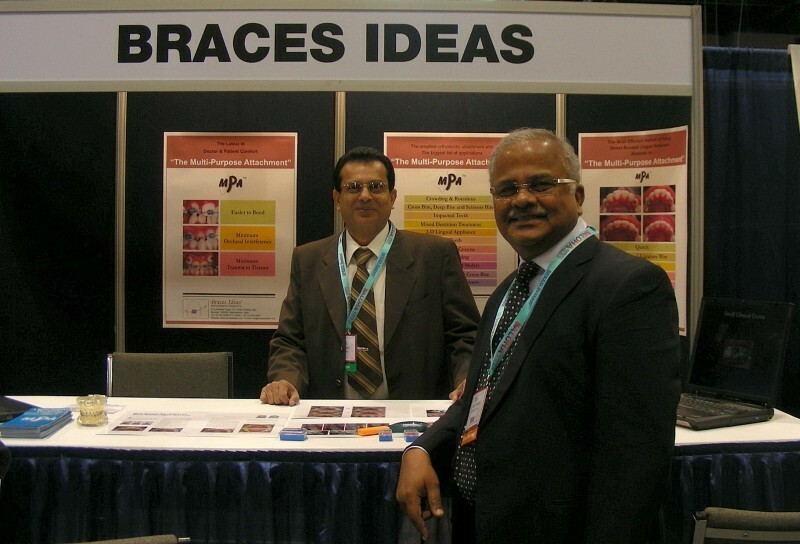 This orthodontic attachment was designed by Dr. Nikhil Vashi, who is a creative genius. 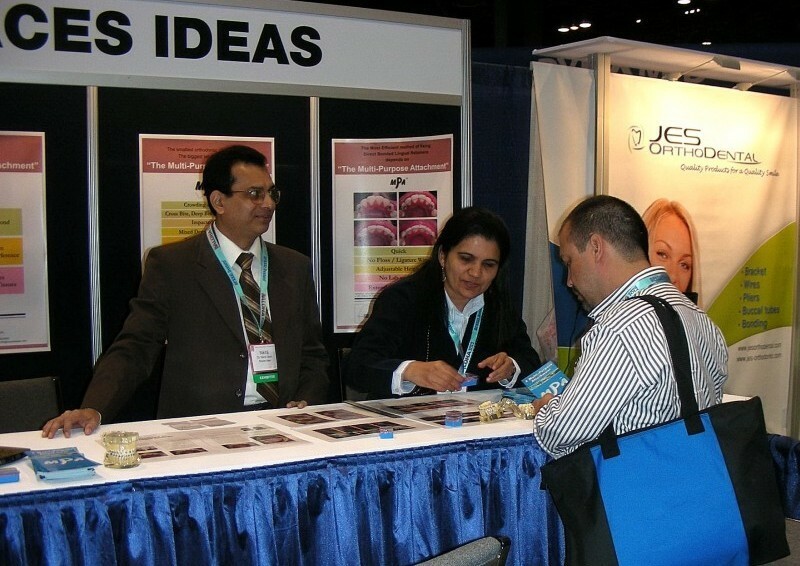 He has presented many innovative ideas to the field of orthodontics. 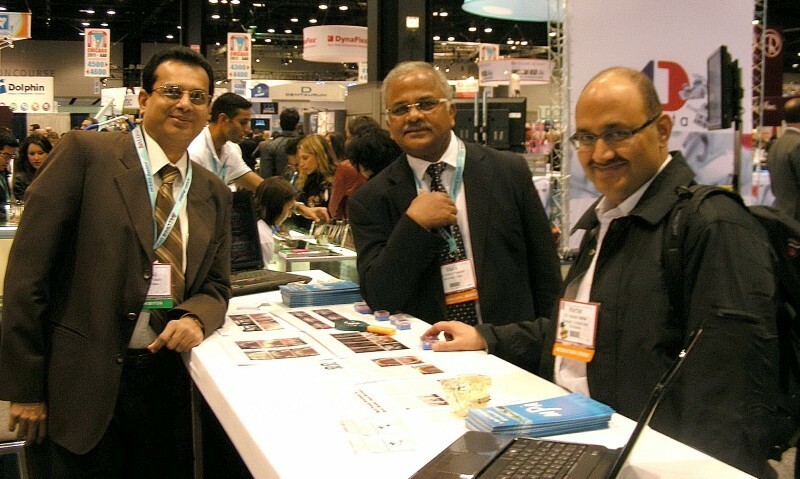 These orthodontic innovations have got noticed at national and international levels and have fetched awards since the last 15 years. 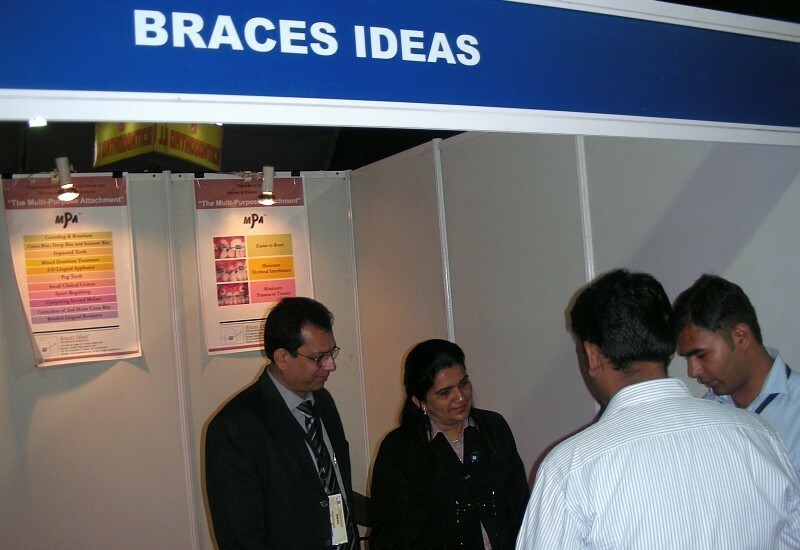 Braces Ideas participated in the annual session of Indian Orthodontic Conference 2011 at Khajuraho. 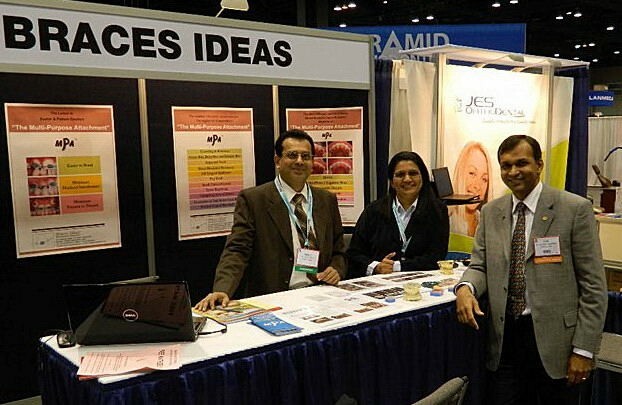 Braces Ideas participated in the trade exhibit at the annual session of AAO 2011 in Chicago. 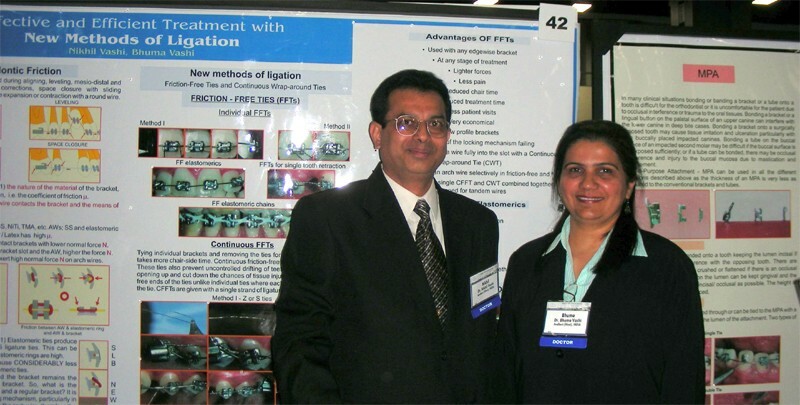 Dr. Nikhil Vashi & Dr. Bhuma Vashi gave Table Clinic Presentations at The Annual session of AAO 2010 in Washington DC. 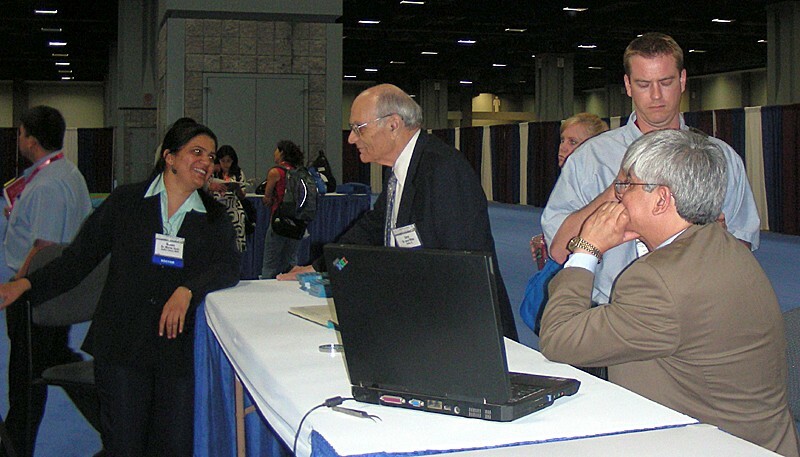 The topics were "A Useful Adjunct to Fixed Appliance Therapy - The Multi Purpose Attachment-MPA" and "Effective and Efficient Treatment with New Methods of Ligation." 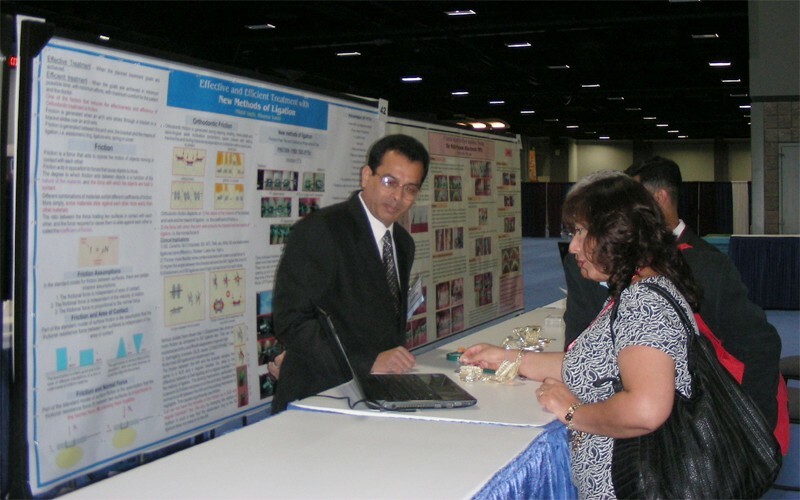 Dr. Nikhil Vashi explaining about MPAs to AAO delegates. 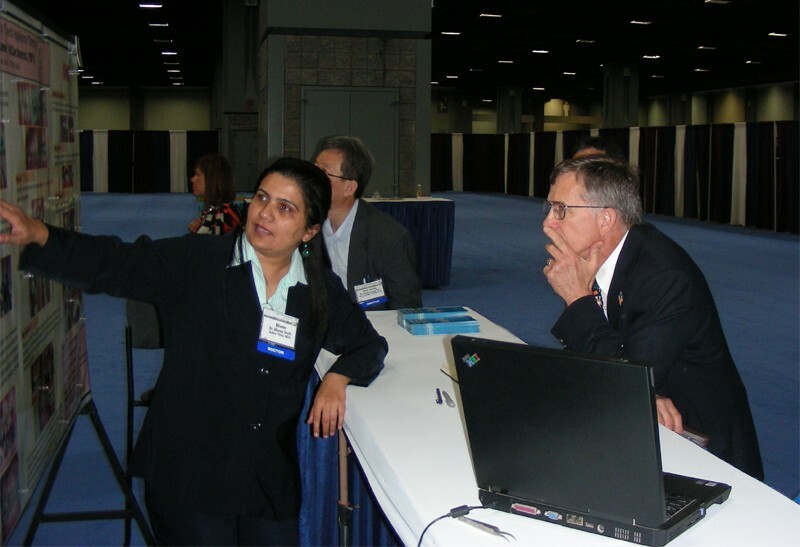 Dr. Bhuma Vashi explaining about MPAs to AAO delegates.